Well I guess this must be photo of the week #10, another digital scan from a photograph taken on good old Kadachrome 25 slide film way back in 1991. This VW Type 3 Fastback belonged to my good friend Kevin Elliott and had only just been finished following a frantically-fast build, with major help on the bodywork from John Huurdeman, another good friend and fellow VW fanatic. 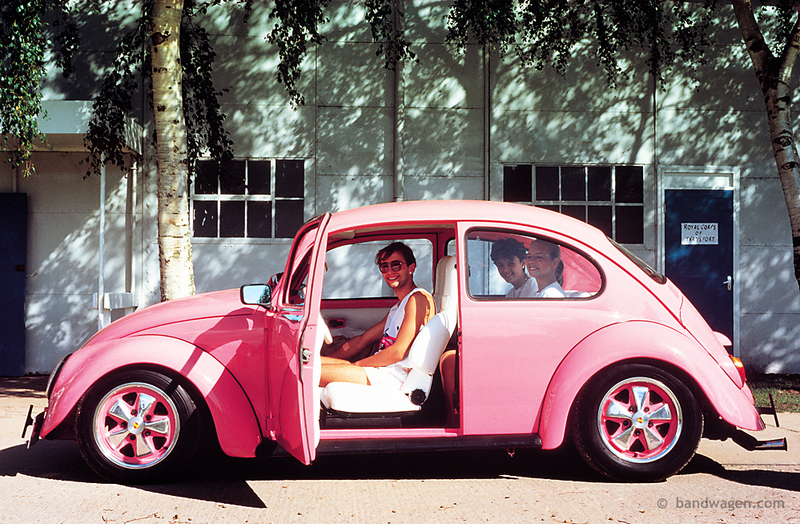 It featured a twin-carb 1776cc engine – transplanted from Kev’s Samba, Porsche Fuchs wheels, VW Corrado -nugget yellow paint, full length roll-back sunroof and a huge base-box housing two 15″ Subs! 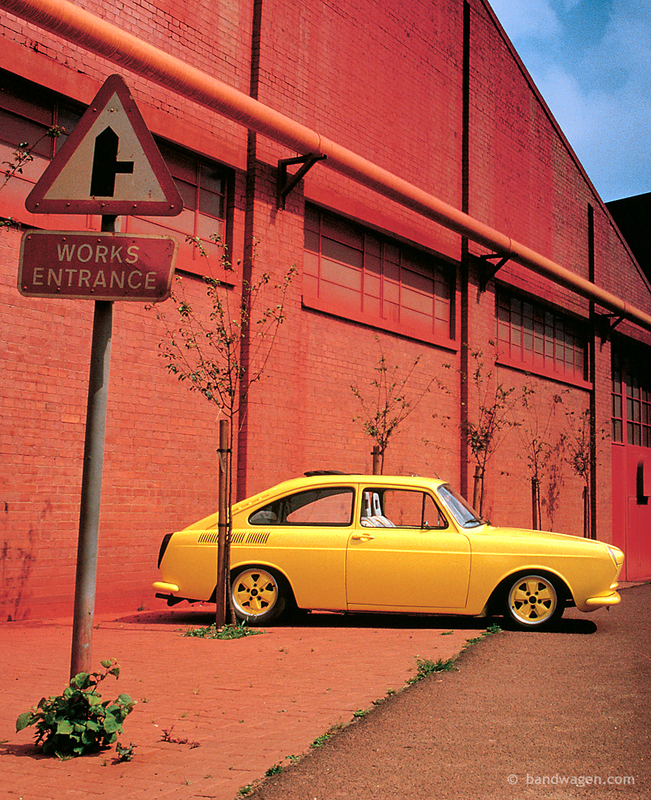 The location was the iron-oxide works in Deanshanger, just outside Milton Keynes. Every surface in the area was always covered in a fine red-oxide dust which wasn’t too popular with the local population! I think the factory is long gone now, demolished to make way for new housing. Kev sold the Fastback soon after this picture was taken to finance some traveling. As far as I know it’s never been seen again at any UK shows and was last taxed in 1992 so, I wonder where it ended up? 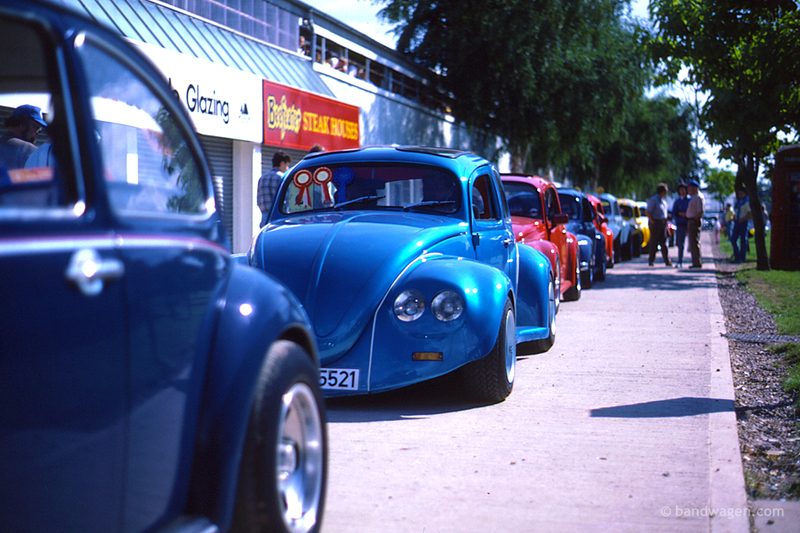 Back in the days before there were digital cameras, before there were VW shows every other weekend in the UK and when VW Motoring was the only Volkswagen Magazine on the newsagent’s shelves, there was VW Action, Europe’s biggest Volkswagen show. 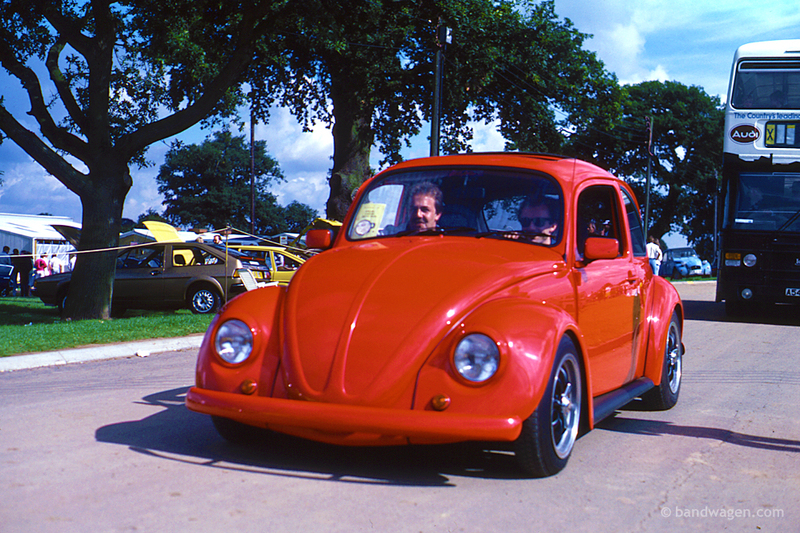 Held at the National Agricultural Centre in Stoneleigh, Warwickshire, the huge two-day show attracted visitors from all over Europe – there was nothing else quite like it. 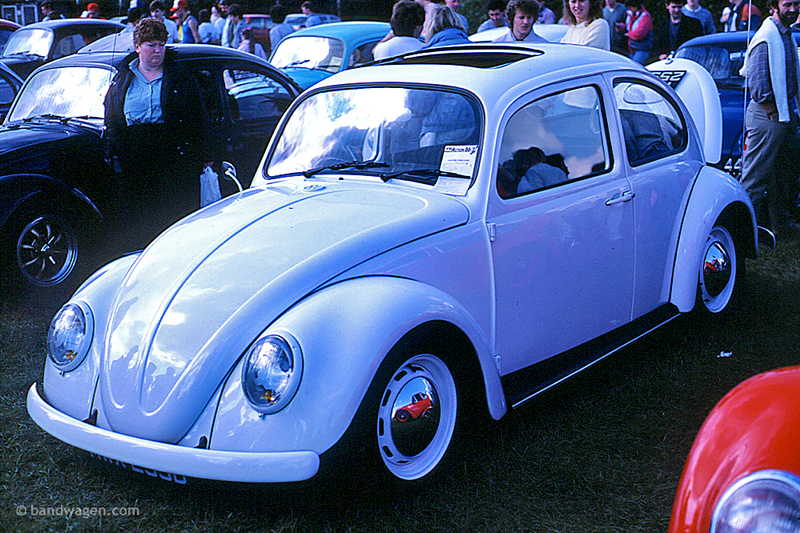 I bought my first beetle, a customised yellow 1303, just after leaving art college in 1984 and 1986 was my second visit to VW Action. 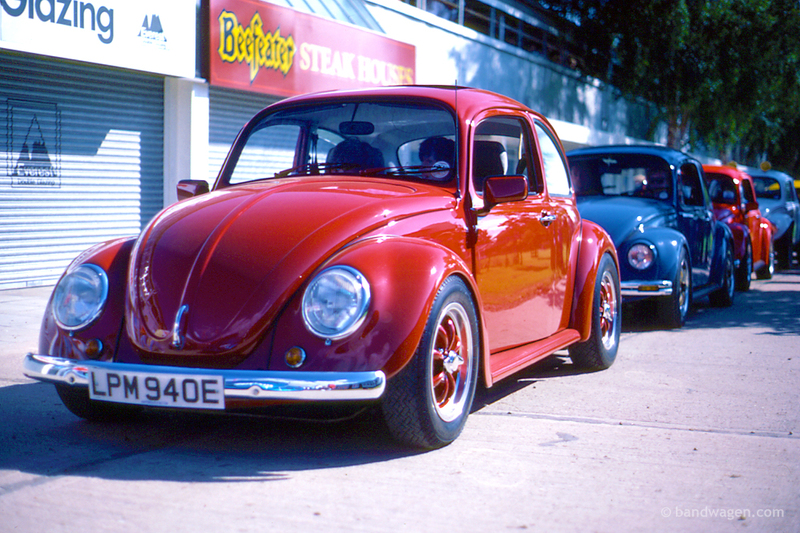 This was to be the year when everything VW Beetle changed in the UK – The first year that there was a separate Cal Look class in the concourse – along with the usual custom class full of the VWs with Carlos Fandango super wide wheels, multiple headlights and wild custom metal-flake paint jobs! 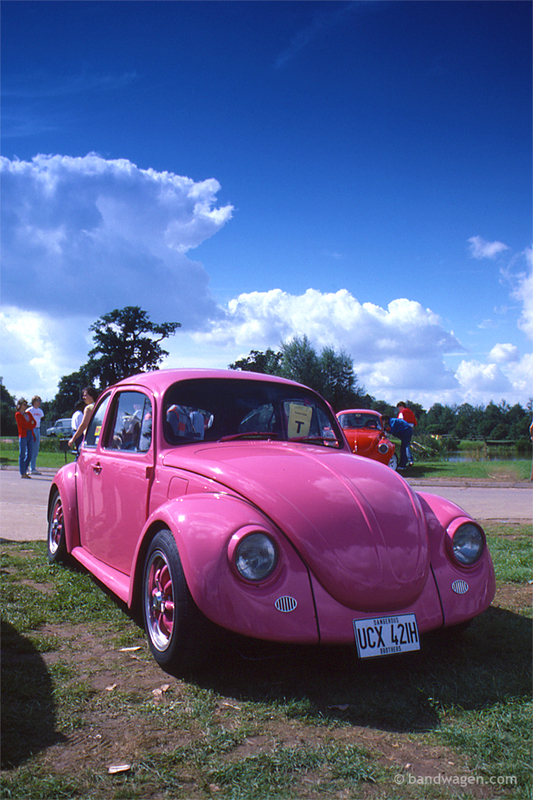 Despite the presence of some well known magazine featured UK built Cal look cars at the show, it was the owner of this pink beetle from France who drove home with the prize for ‘Best Cal Look’. These are digital scans from my photos which where shot on Kodachrome 25 slide film (RIP) with my trusty Minolta X300 35mm SLR.